It’s that time of year again, when facility managers need to fill out and post their Osha 300A forms. As the facility manager, you want to make sure the form is accurately filled out. Once you fill out the form, post it in an open area in the workplace by the deadline. At Frontier Fire we want to help you with the process. That’s why we provide you with everything you need to know about the OSHA 300A form. OSHA 300A is the injury and illness record-keeping form.This form includes a summary of work-related injuries/illnesses that occur throughout the year. All injuries and illnesses should be logged on the OSHA 300 Log every time they occur to ensure accuracy. This document should be accessible to all employees and kept up-to-date. OSHA requires that every employer posts a 300A form. This is necessary even if there were no work-related injuries or illnesses. You are exempt if you have less than 10 employees or are deemed as a low-hazard business. Forms are to be filled out and posted between Feb. 1 and April 30 every year. 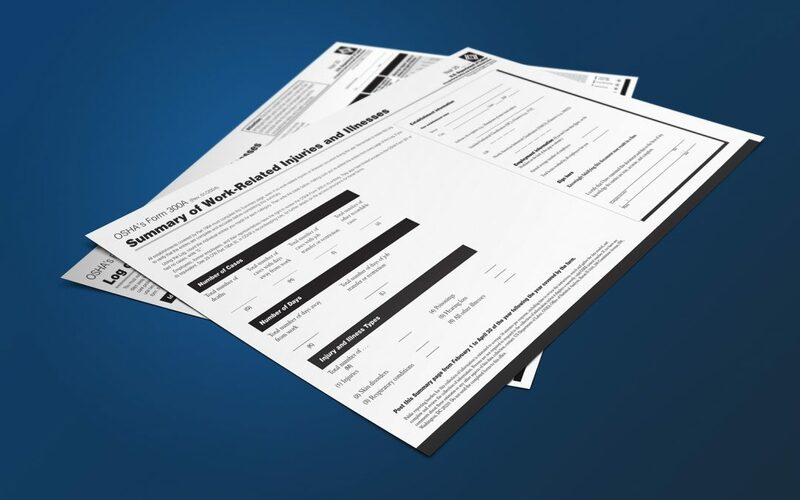 You can download all OSHA 300 forms here. The OSHA 300A form is totals the number of cases, days and types of injuries/illnesses that occurred at your company throughout the year. The form requires company information and a signature from the company executive. Add your total number of employees that have been paid during all pay periods in the year. This includes all employees (full-time, part-time, seasonal, etc.). Determine the number of pay periods that occurred throughout the year. This includes every pay period at your company, even if no employees were paid. Divide the total number of employees by the number of pay periods. Then round the number up to the next highest whole number. Multiply the number of full-time employees by the hours full-time employees work. This includes employees that were not employed during a full calendar year. Do the same for all other employees (part-time, salaried, seasonal, etc.). Add the totals together to get the total number of employee hours worked during the year. Frontier Fire is happy to help your business abide by the fire safety regulations. We hope to help your company meet all the safety requirements and continue to prosper within your industry. If you have any questions, please don’t hesitate to contact us.